Roasters tend to fall into two schools: technical roasters, who follow a system involving precisely defined and monitored variables like time and temperature, and craft roasters, who depend mainly on eye, ear, nose, and accumulated experience. Roasting by Instrument. The key to technical roasting is an electronic thermometer or heat probe designed to rest inside the bed of beans as they roast. Since degree or darkness of roast precisely reflects the internal temperature of the roasting beans (think of the thermometers you stick into roasting turkeys or meat), the heat probe permits the roastmaster to follow the development of the roast inside the machine with confidence. A second heat probe registers the temperature of the air inside the roasting chamber. The roastmaster, using various formulas that define the optimum relationship between these two temperatures plus information regarding air velocity inside the roasting chamber, profiles the roast, adjusting temperature ratios and air velocity to control the intensity of the pyrolysis and the length of the roast. And, I might add, profoundly influencing how the coffee eventually tastes. Because two batches of the same coffee roasted to exactly the same degree of roast but using two different profiling strategies will taste dramatically different. Roasting by Experience. Craft roasters also profile coffees, adjusting temperature and air velocity inside the roasting chamber as the roast progresses. However, rather than on formula, their adjustments are based on long experience with roasting generally, with roasting specific coffees, and with the peculiarities of their machines. Internal bean temperature is not the only way to tell what is going on inside a roasting machine. Roasting coffee signals its internal changes by a number of rather dramatic external signs. As well as changing in color, roasting coffee speaks to the roaster by emitting a crackling sound at two very predictable moments in its development — the "first crack" when pyrolysis begins, and the "second crack" when the woody matter of the bean begins to transform and the beans start to enter the pungent, bittersweet realm of darker roasts. When craft roasters speak about a specific green coffee and how to roast it, for example, they speak in terms of the crack — just before the second crack, just at the second crack, just into the second crack, well into the second crack, and so on. The changing smell of the roasting smoke also tracks the development of the roast, starting with a bready smell before the first crack, to a fuller, sweeter, more rounded scent between the first and second cracks, to a pungent, sharper, oiler odor during the second crack. The best old time craft roasters can control the roast quite accurately based on the smell of the roasting smoke alone. Neither technical roasters with their thermometers and formulas nor craft roasters with their eye, ear, nose, and accumulated experience necessarily produce better coffee. 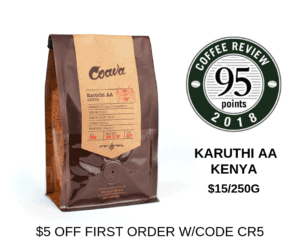 But both produce far better coffee than people who "just roast’em til their brown," or relative newcomers who think they are craft roasters, but are not. True craft roasting demands long training and experience. The average accountant or English major with no coffee experience who decides to open a store and roast coffee is best served by taking a seminar on technical roasting and installing a heat probe in his or her new roasting machine.